Superior resistance to UV irradiation. 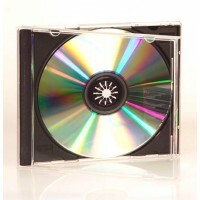 Traxdata 16x Wide Thermal Printable Blank DVD-R was designed to meet the needs of users who demand a higher capacity. Therefore designed primarily for businesses and consumers for data archiving, video, audio, multimedia imaging and more! The `mechanical specifications` of Traxdata 16x DVD-R White Wide Thermal Printable DVD-R in Packs of 50 media is very precise, and data written to it can be read in a wide range of drives. As a result, Traxdata discs demonstrate a high level of compatibility between drives running at a wide range of speeds. 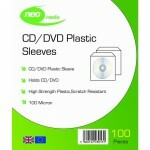 Thermal printable media is designed for printing with special thermal or thermal sublimation printers. Please Note that this media cannot be printed with inkjet printers. There are only a few thermal printers on the market, most of them being used in professional duplication equipment.